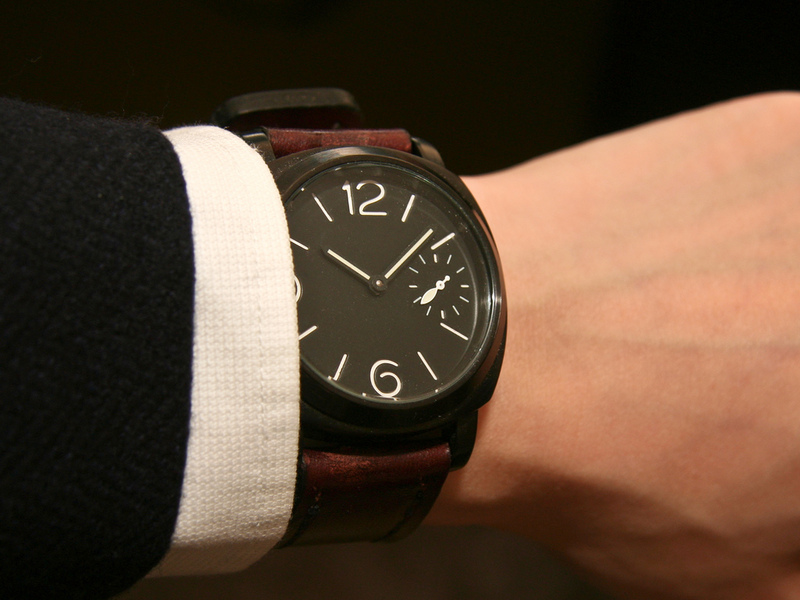 Finding a quality leather strap to give your timepiece a facelift is easier than you think. And you don’t need to pay a fortune for it. I define all-round leather watch straps, as “leather watch straps suitable for most styles and watch designs”. Down below, I’ll only recommend the all-round leather straps for men which have received the most acclaim and the most positive reviews and recommendations at Amazon. My philosophy is to focus on the essentials and provide quality information. There really is no need to make a long enumeration of every single available leather watch strap brand & company, available at Amazon. We will only focus on the most respectable brands, that have received overwhelmingly positive reviews. I can recommend you 4 brands: 1) BARTON, 2) Ritche, 3) Vetoo and 4) Hadley-Roma. BARTON offers you 18mm, 20mm or 22mm width selections. They come in a wide range of colors, ranging from beige and chocolate brown to grey and black. The buckle is made of a 316L stainless alloy – the same steel that most Swiss made luxury watches are made of. The leather is top grain. The leather is soft, provides ideal comfort and reduces slipping to an absolute minimum. Highly recommended. Ritche offers you genuine leather watch straps in 18mm, 20mm and 22mm width selections. It’s guaranteed to fit both men and women. Compatible with many luxury wristwatch brands such as Omega, IWC, Panerai, Longines, Jaeger LeCoultre etc. Vetoo offers you leather watch straps in 20mm and 22mm width selections. Their leather straps are affordable, highly flexible, water proof, and prevent skin allergies. Hadley-Roma offers you genuine leather watch straps in 18mm, 20mm, 22mm and 24mm width selections, with beautifully made stitchings. Hadley-Roma offers you hypo-allergenic buckles. Hypo-allergenic means it’s designed to minimize or reduce allergic reactions, even though it’s not 100% allergy proof. This is a recommended choice for you, if you want a buckle material which reduces skin irritation. Ordinary watch straps consist of two units, that need to be fastened with the pins located between the lugs. NATO straps are different. A NATO strap is essentially a single strap unit which is either made of nylon or leather. You don’t need to fasten the NATO strap onto the pins between the lugs. Instead you slide the NATO strap into the space between the pins and the lugs. Before you purchase a NATO-leather watch strap, please watch the video tutorial down below, so that you’ll know how to properly install the strap. 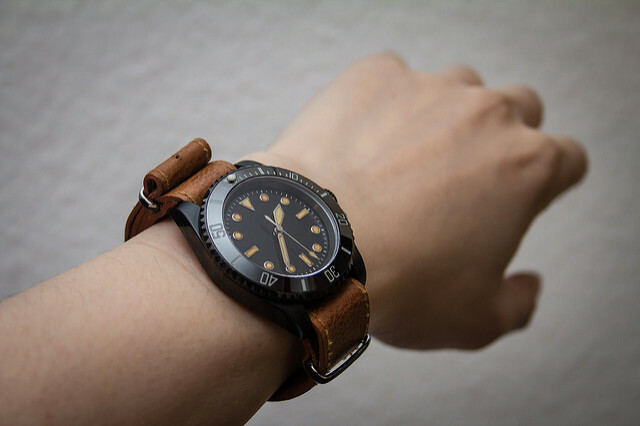 The particular NATO strap displayed in the video down below is a nylon watch strap, but the principle of installing a NATO strap is always the same, regardless if the strap is made of nylon or leather. PASOY as a leather strap manufacturer has consistently received good reviews and grades by their customers, even though no rankings or reviews have been displayed for these two partilar models shown in the shopping window. REV too enjoys a similarly good reputation at Amazon. Both brands offer high quality leathers. PASOY makes straps of quality calf leathers. 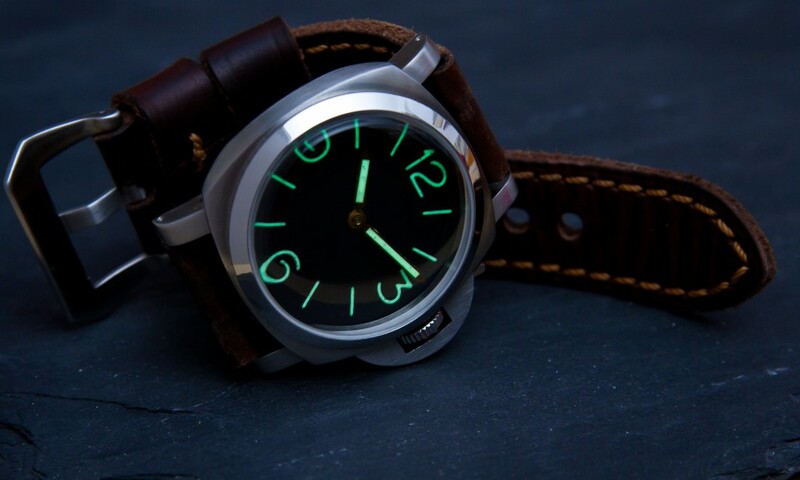 Both PASOY and REV make leather straps in the traditional and classic militaristic Panerai spirit. If you have questions, comments or suggestions, please post them down below and I’ll be happy to answer them!